Writing an excuse letter can be important for someone in school, college, or even at work as sometimes it is impossible to avoid the unforeseen circumstances. However, it is important to follow the correct format in professional and academic life as well. This letter would be extremely important for anyone whether he or she is in college, school, or at work. Reading samples can be of great assistance to anyone who wants to write a formal letter for absence. Thus, reading the samples of the letters can guide a person to use the most suitable content. With due respect, it is to say that I, ABC, am a student of your class 7-A. I would not be able to attend school today as I am suffering from a severe headache since last night. The doctor has advised me complete bed rest for a day. Kindly grant me leave for a day (Insert date here). I am writing this letter to express my sincere apology for not able to attend my duty on (insert date here). I am suffering from anxiety and depression for two days and doctor has advised me a week off from office. I will not be able to attend the office from (date) to (date). I am sorry for the inconvenience it may cause to the company and employees. Use this letter when you are not able to attend school/college due to sickness. 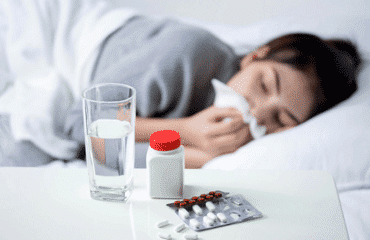 There could be a high fever or some allergies, which would allow you to stay at home and take a day or two off. An individual might get chickenpox and thus, would not be able to attend the school. Use this sample to get an idea of what to include in the letter. Use this sample to write a letter when there is an unexpected death in the family. It can be tough to think of the relevant content; however, following a sample letter can help. Use this letter when you are not able to attend school activities because of any reason such as a knee injury or a heart condition. Use this sample letter when you are not able to attend the school/college because of an important doctor’s appointment, as sometimes one has to wait for long periods to get these appointments. One might need to write an excuse letter for school absence when they are going on a trip. Vacations are important, and it is wise to take some time off to enjoy with the family. One might need to go on holidays and thus would need to write a formal letter. Use this sample letter to get yourself familiar with the content. A student might need to attend a wedding in the family or a wedding of their siblings. Using this sample letter can guide them to use the right content. Arriving on time is not everyone’s cup of tea. Using this sample letter can guide a person to use the right content for a formal letter. Using this sample can guide a person to use correct content and it would be wise to attach the medical certificate with the letter if possible. Sometimes parents would need to write a letter on behalf of their children and using this sample could guide them on what to include in the letter. Sometimes parents are busy with work and it is not possible for them to attend a meeting and thus reading this sample can be of great help to them. Using this sample letter can guide a parent to write an appropriate letter by following the format, which is formal and professional. Sometimes a student would need to write the letter and the following sample could help them choose the right content. It is wise to follow a sample letter to get an idea about the overall format. Unforeseen circumstances can hinder a student from taking the exam and thus, reading the following sample letter can guide them to create a letter of their own. A student might need to write the letter for rescheduling the exam and using the following sample can be of great help to them. Not only students but also sometimes even teachers need a leave and reading the following sample can guide a teacher to follow the format and content. A teacher might find it useful to read the following sample when writing a letter to the principal for being absent due to any unforeseen circumstances. Using this sample letter can guide a person to include the right content in their professional letter for missing a swimming class. It would be wise to use the correct format when writing a letter. Sometimes a student might be late for class and thus reading the following sample can guide them on how to create the perfect content in this situation. It is important, to be honest, and present the genuine reason. Due to a personal reason, sickness, or any unforeseen circumstances, a student might not do the homework and thus, reading the following sample can guide them in this particular aspect. An individual might not be able to attend the work due to an emergency and thus reading the following sample can guide them to choose the right content for the letter. When going through a severe headache, fever, or any sickness an individual might not be able to attend work and thus have to write a letter. Using this sample can guide them to write professionally. An important matter might stop a person from attending office and thus, it would be necessary to write the professional letter. Using this sample can guide them to write in a professional manner. It is important to apologize when you are not able to attend work due to a family gathering. It is important to leave a positive impression on the boss and co-workers. Reading this sample can give you an idea of what to include in the letter. Sometimes employees can make mistakes and it is wise to write an apology letter to the boss and accept the mistakes. Using this sample can help in creating the apology. Sometimes deadlines are extremely important for work and the success of a business is depending on some reports. However, it is unprofessional to miss a deadline and thus, accepting the mistake and writing a letter of apology is very important. This sample can help in this regard. Attending meetings is important and it shows how professional a person is and sometimes it is not possible to attend a certain meeting. However, writing a letter of apology would be wise in this situation and reading this sample can help. An individual might not be able to attend an interview due to any unforeseen circumstances and it would be wise to write an apology letter to be in the good books of the employer. Using this sample can help. An individual might not be able to attend an event as they would be busy or because of any reason. However, reading this sample can help them to choose the right content. Weddings are emotional and hold a lot of sentimental value. It is important to write a letter of apology if someone has missed an important wedding. Reading this sample can help. If an individual has missed an important party, it is wise to write an apology letter. Doing so would keep this person in the good books. Nobody wants to be remembered as a negative person. Reading this sample can help.